On Thursday night, Environmental Space Planning & LM Architectural Group won a 2017 Commerce Design Award for La Roca Restaurant completed last summer. 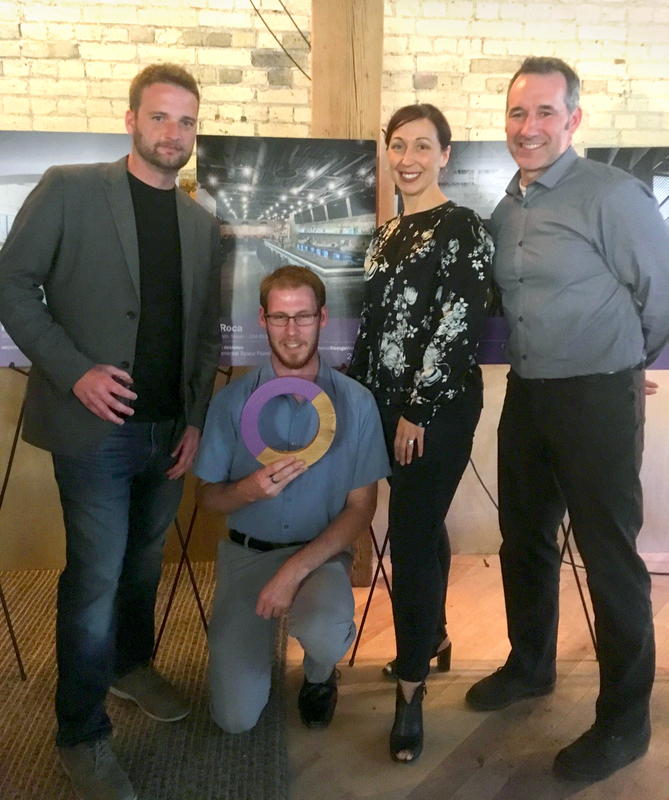 The CommerceDesignWinnipeg contest rewards Winnipeg merchants for the exceptional quality of the interior and exterior design of their business. Big Congratulations to La Roca for their commitment and passion to create a fun and exciting new Mexican restaurant for downtown Winnipeg and for allowing our team to be part of this successful project.